We will examine your case thoroughly and advise you regarding next steps. Call Us Now So We Can Effectively Pursue Your Claim Rights. An unexpected injury can have a truly devastating effect on both you and your loved ones. Kevorkian & Madenlian LLP vigorously represents people who have been hurt by the negligence or intentional wrongdoing of other people or businesses. 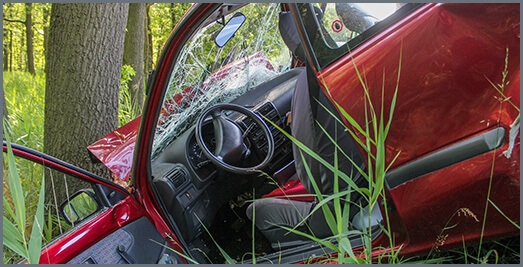 The dedicated Costa Mesa personal injury lawyers at Kevorkian & Madenlian LLP offer personalized service to California residents who were harmed as a result of a motor vehicle accident, slip and fall, medical malpractice, or any other injury caused by negligence. We also serve clients whose loved one has been killed by a negligent act. California law permits the victims of accidents caused by the negligence of another person or corporate entity to seek compensation for the physical, emotional, and financial harm they have suffered. An injured party seeking compensation in Costa Mesa, California may file a negligence claim with the help of a personal injury lawyer. Generally speaking, negligence is a failure to put forth the same level of care that a reasonable person would use in the same situation. In order to recover in a personal injury lawsuit, the injured party must prove that the defendant owed them a certain duty of care, that the defendant breached that duty of care, that the breach of care resulted in an injury that would be foreseeable to a reasonable person, and that the victim indeed suffered damages as a result of this injury. The owner of a retail stores owes a certain duty of care to the customers who enter it. A truck driver has a duty to obey all federal trucking laws while he or she is operating their commercial vehicle. A physician must adhere to whatever the prevailing standard of professional care happens to be in their area of specialty while treating a patient. If they fail to meet those standards of care, they may be held responsible for any injuries that result. Any time a person violates the duty of care that they owe another person and causes an injury, he or she may find themselves held liable for such negligence. 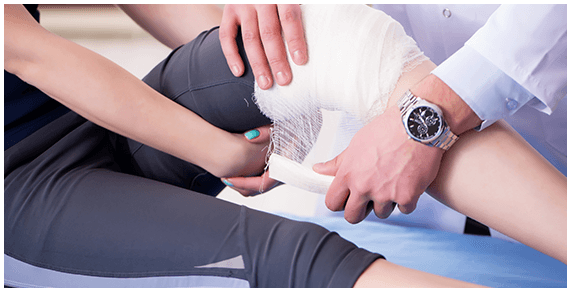 The wisest move the victim of a negligent accident can make is to enlist a personal injury attorney in California to pursue compensation for his or her damages including pain, suffering, medical bills, lost wages, property damage, and any other type of loss they have endured. Each state allows a certain time frame in which to file a negligence lawsuit. This is called the statute of limitations. If the injured victim fails to file a claim before this statute of limitations runs out, that victim will be barred forever from recovering any damages for their injury. Certain types of negligence claims may have special time limits that require the expertise of a California personal injury lawyer. California adheres to the comparative fault rule when assessing damages in personal injury cases. This means that even if you were partially at fault for the accident that caused your injuries, you may be entitled to recover compensation for those injuries. A California judge or jury will assign a certain percentage of fault to each party and the victim’s damages will be reduced accordingly. An experienced personal injury lawyer in Costa Mesa, CA can fight to limit or eliminate the amount of fault that you are assigned. Wrongful death occurs when a person dies as the result of another person’s negligence. In California, the family members of the person who lost their life may be entitled to recover damages. These damages often include the loss of any financial support and the loss of the guidance that the deceased family member would have provided. In California, wrongful death cases must be filed within two years. If you have lost a loved one due to negligence, be sure to hire an experienced California personal injury attorney to represent your interests as soon as possible. Whether you have been personally injured or have suffered the devastating loss of a loved one due to negligence, it is important to act immediately. The legal professionals at Kevorkian & Madenlian LLP are skilled, experienced personal injury attorneys who are on your side. If you’ve been hurt by the intentional wrongdoing or unintentional negligence of another citizen, a corporation, or a professional, you deserve to be compensated for your losses. However, there is a limited amount of time for you to file a lawsuit against the negligent party. Don’t delay; call the Costa Mesa personal injury attorneys who care at Kevorkian & Madenlian LLP. Please provide your name and email address to subscribe to our monthly newsletter.